Have you ever replaced a Brother Drum Unit and it still gives you the message "Drum is near end of life" ? As with many of the older Brother printers they can sometimes be quite stubborn in detecting a new replacement drum or cartridge being installed. If you are having these issues read this article to find the solution ! Is your printer producing the correct colours that it should be? If not it is easy to isolate the problem by using a Test Page. The 3 main colours used by your inkjet printer are Cyan (Bluey Colour), Magenta (Reddish Colour) and Yellow. Don't pay retail prices ever again. Ink Hub's high quality compatible Ink Cartridges are guaranteed to give the same print quality as the Genuine cartridges or you get your money back. Ink Hub offers express post to Darwin and surrounding areas. Why Canon Inkjet Printers are the Best ! Unlike many modern Inkjet Printers which use the "Piezo" print head the Bubble Jet is far superior. It uses no moving parts, It is much less likely to clog and most Canon printers have a removable print head for easy maintenance. With the rising costs of daily living consumers are looking for ways to cut costs in every way possible. We need to apply these same rules to our printing as there are ways to save significant amounts of your hard earned cash! Our new Brother LC137XL and 135XL Compatibles represent a huge saving compared to the genuine cartridges. Another advantage is they contain more ink and are guaranteed to perform EXACTLY the same as the genuine cartridges or you get your money refunded. Canon PGI 650XL and CLI 651XL Compatible Ink Cartridges for the new range of Canon Printers have now arrived. These retail for less than half the price of the genuine Canon cartridges and they also contain more ink ! At Ink Hub we get calls regularly from people who have purchased products online from other sites and the cartridges either don't work, they are out of date, they leak or clog the print head. Be warned that if the cartridges are dirt cheap usually you will find they are from a company with no phone number, no physical address and a guarantee which is worthless. Laser or Inkjet Printer - Which Is Best ? 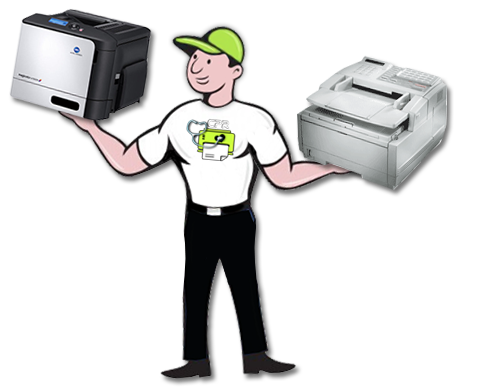 The advantages of a Laser Printer are faster printing speeds. This shines through if you are printing 100's of pages at a time. Inkjet Printers are more than capable of this however the print time will be much longer. Inkjet Printers also tend to pause every now and then to do print head cleans which further slows down the speed. What is the Best Home Printer to buy in 2013 and why? With over 7 years experience in the printer industry I have taken into account all aspects of home printing and have come up with the best printer overall for your family to use. Epson Software Updates Warning ! Epson are up to their old tricks again generously providing you with software updates for their printers. In these updates are their latest bag of tricks to combat the compatible Ink Cartridge market. We have had many customers successfully using our compatible cartridges until downloading the Latest Driver Updates. Here is an alternate method for cleaning your Epson print head. Epson use a "Piezo" print head which are very prone to clogging. Clogging is the result of ink hardening on the surface of the print head resulting in very poor print quality or even stopping printing altogether. Have you ever wondered how your Brother Inkjet Printer detects the ink levels in each cartridge? Unlike most inkjet printers which use a small micro chip the Brother Printer uses small infrared beams which shoot through the small window (see image to left) on your cartridge and determines how much ink is left. Ever bought a bag of chips, opened them and realised that you've just paid for a bag which contains about 60% air ? Well apparently the big guns from Epson, Brother, HP and Canon have had a meeting with the CEO from Smiths Chips and have decided to do the same with their cartridges ! Most people seem to be completely confused about the difference between the Large PGI black and the small CLI black cartridges which are used in most Canon inkjet printers. Have you ever been refilling or messing with an ink cartridge and ended up with hands like these in the picture ? All is not lost as there are ways to easily remove the stains so you can look like a normal human being once more.